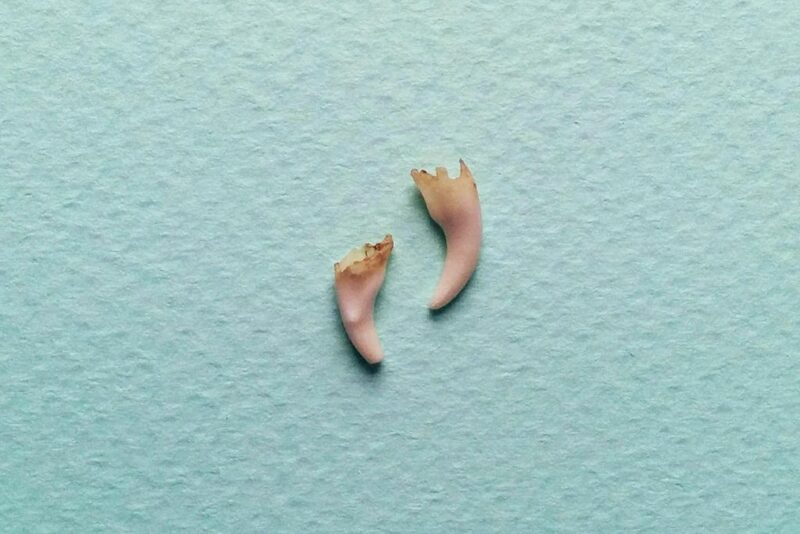 Another month, another strange project involving teeth, it seems! This time, the gnashers in question were of the canine variety. 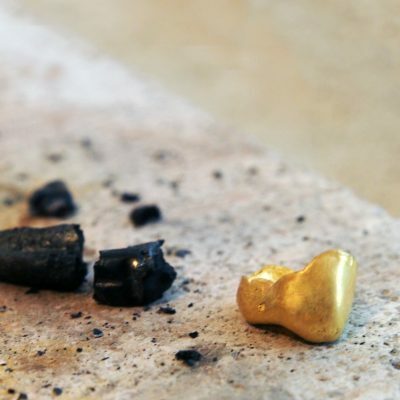 A client approached me with two of her puppy’s milk teeth (lovingly kept after they had fallen out) and asked if I would consider setting them in two complimentary pendants – one for her and one for her boyfriend. 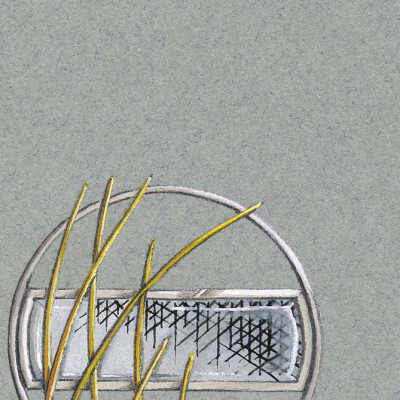 When discussing designs, we agreed that the tiny teeth were very delicate and needed to be protected by the metal surrounding them. 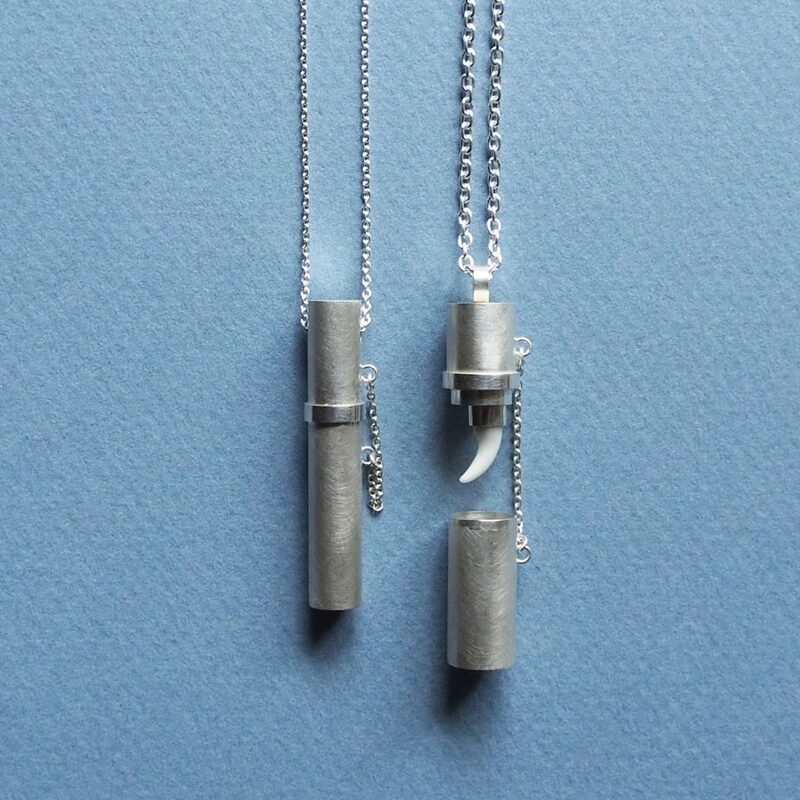 I began to research historical lockets, keepsakes and reliquaries for inspiration and we finally settled on a modern take on the traditional vial pendants sometimes used to carry perfume or even poison… but instead carrying the teeth set inside, turning them in to a little secret. 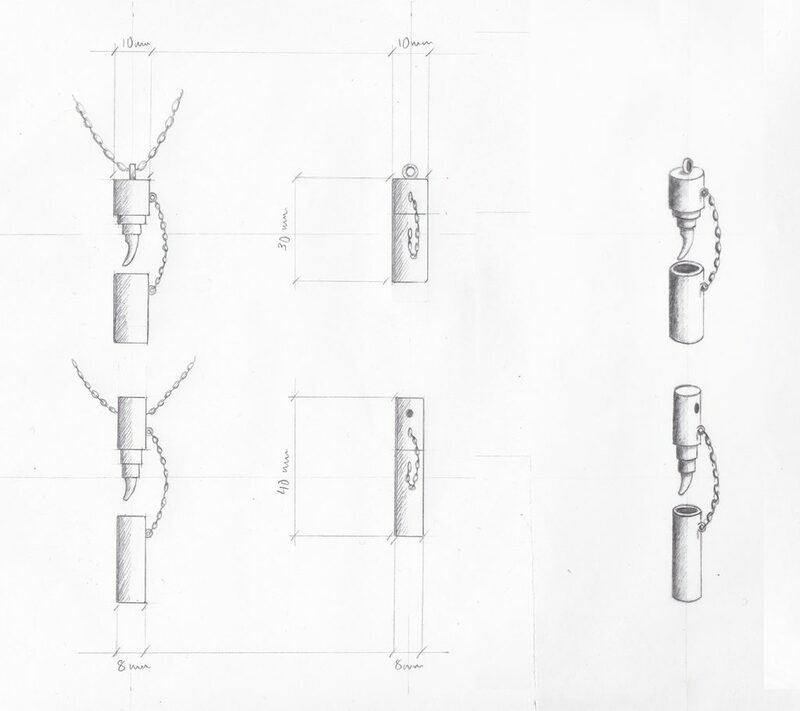 I wanted to make the pendants compliment each other as a pair, but with subtle differences; his was chunkier and hung from a broad chain on a cylindrical bail giving it an almost bullet-like appearance, while hers was slimmer and more elegant, sliding along the chain via drilled holes. 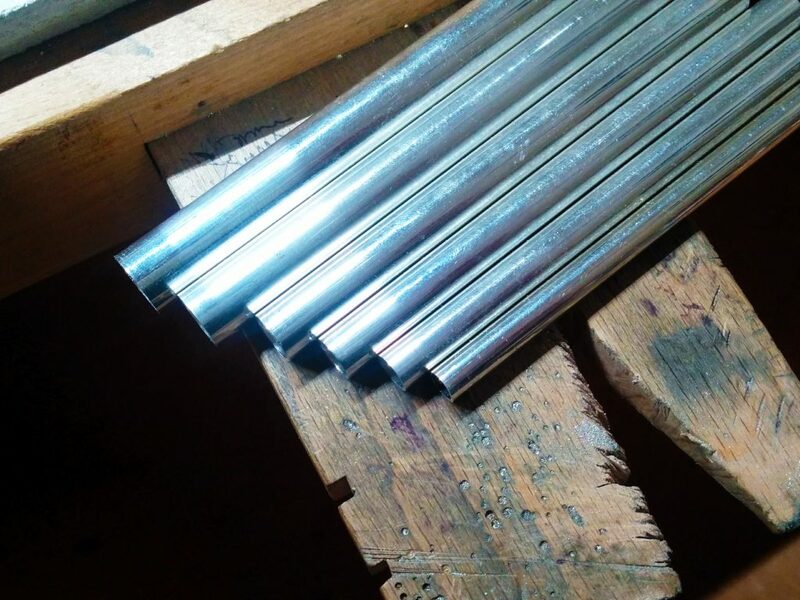 I bought several lengths of silver tube, each one slotting inside the other and began what turned out to be a very long process of precise measuring and filing. The teeth themselves were hollow and fragile, and needed to be filled with dental cement to strengthen them. I then made two oval silver collets to fit them snuggly. These were soldered on to the tube capsules and the teeth were set in place. When the capsules were completed the outside surfaces were finished with a soft matte texture and contrasting polished highlights, fitted on to their chains, and presented to a couple of very happy dog owners. 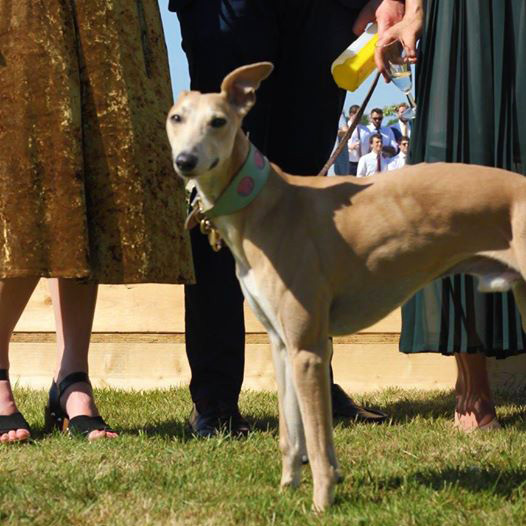 Here’s a picture of Reggie looking pleased with himself for contributing to this very unique project!